Snack Food and Wholesale Bakery hosted a webinar in May titled “Gluten-Free: New Opportunities for Growth.” Jon Davis of La Brea Bakery, Ryan Hinnenkamp from General Mills and Steve Williams with the Natural Marketing Institute (NMI) discussed the potential of gluten-free and why customers are choosing these alternatives over traditional products. Read on to learn one of the biggest opportunities in the space and how to reach today’s gluten-free consumer. Who are the consumers in the gluten-free space? The gluten-free trend shows no signs of stopping. Research estimates the multibillion-dollar market will nearly double in the next five years, and the food and beverage industry is taking notice. Of the estimated 3 million Americans with celiac disease, only about 300,000 have been diagnosed and are on a gluten-free diet. Aside from a gluten allergy, consumers choose to eat gluten-free for a variety of reasons, including eating healthier or improving overall health, feeling better and losing weight. Some argue that the gluten-free trend is a passing fad, but sales continue to grow and so do marketing efforts. So what can you do to capitalize and spur success in the category? 1. Create an emotional connection—Whether scientifically true or not, gluten-free products have certainly developed a “healthy” perception that has helped drive sales. What should that mean for your marketing efforts? Create an emotional connection with consumers. Focus on messaging and positioning and how these foods contribute to an overall healthy lifestyle. When General Mills rolled out their gluten-free Cheerios, the messaging focused on how the whole family can now eat breakfast together. The TV ad introducing the change features a 51-year veteran engineer at General Mills and his daughter-in-law who has celiac disease. 2. Know who to target—Who is doing all the buying? Millennials (ages 18-34) are making 28 percent of gluten-free purchases in the U.S., more than any other age group. Hillshire Snacking noticed the trend and began targeting that consumer segment by highlighting its gluten-free options. The company also launched a digital-only marketing push on Facebook and Instagram to specifically reach that millennial audience. 3. Consider the convenience factor—Gluten-free recipes can sometimes feel complex or inaccessible. Of course, that can get frustrating, especially for those with celiac disease who rely on a strict diet. Heinz realized this and launched a series of online videos demonstrating simple gluten-free recipes that highlight its “Deliciously Gluten Free” product line in the U.K.
As we’ve discussed, large manufacturers like General Mills are “cleaning up” their foods to enter this growing category. However, labeling a product as “gluten-free” doesn’t guarantee instant sales. In fact, it can sometimes be an obstacle. While 20 percent of Americans include gluten-free foods in their diet, the majority do not. Some manufacturers worry that branding a product “gluten-free” may deter non-allergen-concerned customers for one simple reason: a perception that gluten-free food tastes worse. “Among those who eat or used to eat [gluten-free] foods, bread is the food they agree is most in need of more gluten-free varieties,” says Jon Davis of La Brea Bakery. Consumers are willing to spend more money on quality gluten-free products, but the market doesn’t seem to be offering many options. Capitalizing on current shortcomings can boost revenue while meeting consumer needs at the same time. 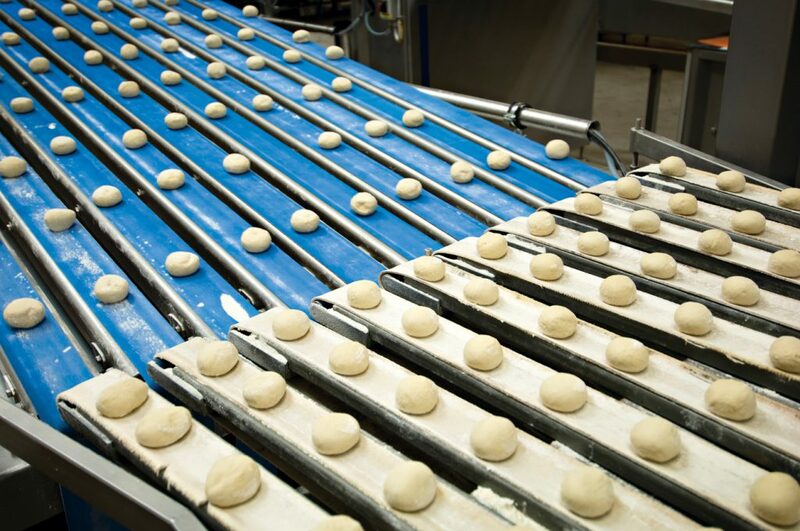 As the market continues to grow, bakery and snack manufacturers who are able to safely integrate tasty gluten-free products into their manufacturing have huge opportunities to increase business. The takeaway? Listen to what your gluten-free customers want.